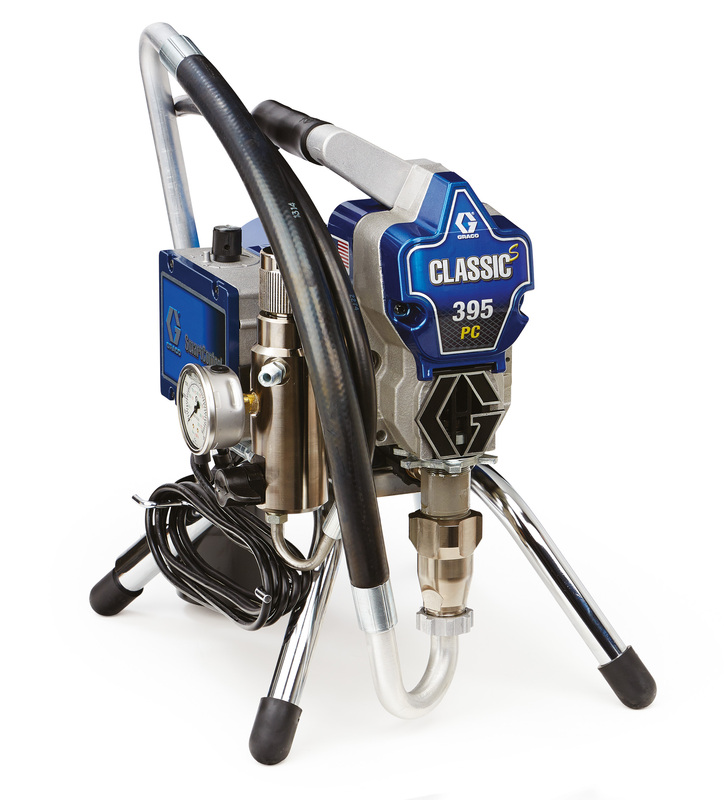 GRACO ST MAX™ II PC Pro - Midsize range of Electric Airless Paint Sprayers for Professional Painting Contractors. The kit can be used in construction or repair of buildings and facilities, painting of buildings from inside and outside, metal constructions. The pump works with any type of facade paints, latex, facades, enamels, primers, polyurethane or water based paints. Max. tip size - 1 gun 0,023" 0,023" 0,025" 0,025" 0,027"